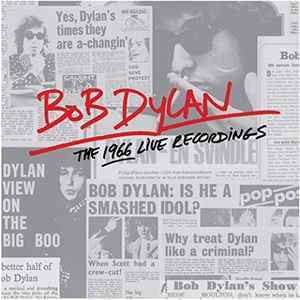 36-CD box set of live recordings with a 24-page booklet. CDs are housed in individual sleeves. Discs 1-16,18, 21-27 are mono soundboard recordings. Discs 17,19,20, 28-31 are stereo recordings by CBS Records engineers. Discs 32-36 are mono audience recordings. A splendid release of almost biblical proportions, this does not however, include the five tracks Dylan recorded in a Denver hotel room, on March 13th 1966, which can be found on the 2000 Scorpio release Away From The Past. Other than that, this essential and brilliant box set is beyond reproach.